I have always wondered… Should the contents of the handbag be more expensive than the bag, or less expensive? Would you rather have an Oroton handbag shopping in Target, or a Target handbag shopping in Oroton? Here at ‘The-Accessories-Guild’ we claim that spending smart is more important then spending more, so today we will feature an economically conscious design by Ted Baker. 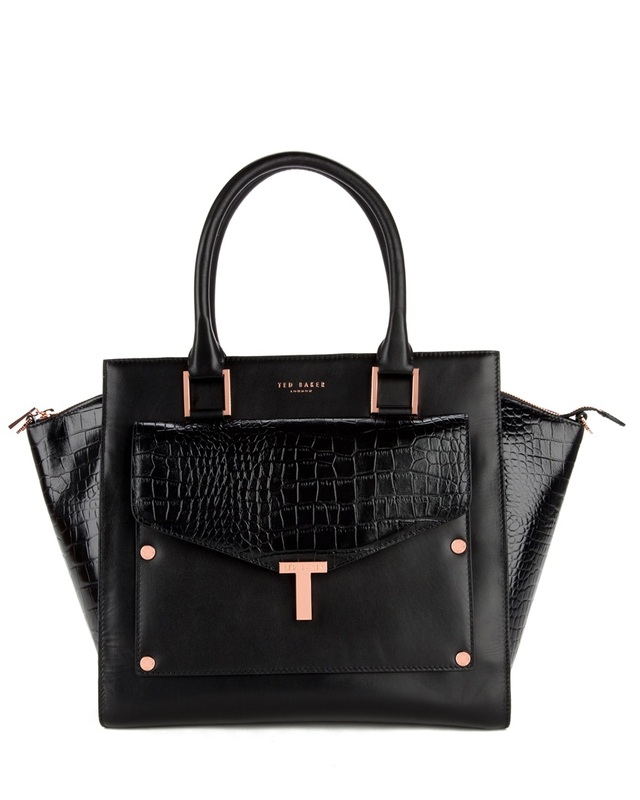 Albeit, quite pricey at about £329, Ted Baker’s Baillie is a great bag for the money conscious shopper. Not only is the tote spacious and stylish, but it is also a very intelligent purchase because on the outside of the tote is a detachable clutch bag, which itself is quite neat and sleek. Coming in both black and tan, the Baillie Tote, is a very effeminate bag, despite the cumbersome nature that tote bags can have. Also, the inside lining has some playful stencils of some puppies that will lighten the mood of any shopper. Never be stuck with a high-end bag in thrift shop, or a thrift shop bag in a high-end store; buy smart with this great two-in-one Ted Baker Tote and Clutch.